Tim and Alicia invite you to sample the menu ranging from the more traditional to modern Italian inspired Cuisine. We have a range of Pasta’s, Pizza’s, Steak’s & Seafood Dishes and the Al a Carte menu is also available at lunch times. 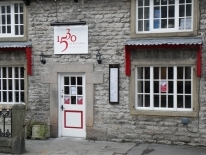 1530 The Restaurant opened on Tuesday 21st of December 2010, after undergoing an extensive development to transform the property from a bookshop. 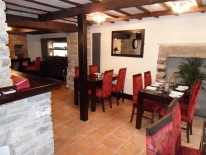 1530 The Restaurant offers modern British & Italian influenced dining in a relaxed, comfortable and elegant setting. The name of the restaurant originates from the year the building was originally built, and retains its traditional low ceilings and stone walls.